US President Donald J. Trump is famously not a fan of renewable energy, especially not wind power, and super-especially not offshore wind turbines. Nevertheless, under Trump’s watch the US offshore wind industry is beginning to realize its potential for killing off the nation’s dwindling stock of coal and nuclear power plants. In the latest development, the company Deepwater Wind has announced next steps for a first-of-its-kind project that combines offshore wind, hydropower, and energy storage in Massachusetts. The official name of the offshore project is Revolution Wind, possibly referencing the pivotal role of Massachusetts in the American Revolution, or maybe just evoking revolutionary change in general, but we’re dubbing it…The Beast! Revolution Wind is not Deepwater’s first dive into the challenging waters of US offshore wind development. That’s a story all in itself, because the US has been slow to exploit its vast offshore wind potential. The relatively shallow waters of the US Atlantic coast are ripe for the picking, but during the Obama administration a bevy of Koch-funded governors and state legislators (and one actual Koch brother, too) quashed efforts to promote and coordinate offshore wind development along the Atlantic coast. The lone exception was tiny Rhode Island, where more favorable political winds attracted the attention of Deepwater Wind. Sure enough, by 2015 Deepwater Wind was breaking ground, so to speak, on its five-turbine Block Island offshore wind farm off the Rhode Island coast. Block Island is the nation’s first ever commercial offshore wind farm and it is now up and running. CleanTechnica’s Joshua Hill took note of The Beast (ok, so Revolution Wind) last August, when Deepwater teased some details about the project including a Tesla energy storage angle. Deepwater Wind – America’s leading offshore wind developer – will submit its response to Massachusetts’ 83C offshore wind solicitation with its Revolution Wind offshore wind farm, paired with a first-of-its-kind offshore transmission backbone developed in partnership with National Grid. Revolution Wind will also be capable of delivering clean energy to Massachusetts utilities when it’s needed most, during peak hours of demand on the regional electric grid. A partnership with FirstLight Power, using its Northfield Mountain hydroelectric pumped storage in Northfield, Massachusetts, makes this peak power offering possible. Errr…not sure where that leaves Tesla, but it seems that Deepwater has turned to pumped hydro energy storage to deliver offshore wind’s “massive amount of clean energy” whether or not the wind is actually in force. That’s not necessarily a swipe at Tesla’s lithium-ion energy storage solution. It may simply mean that the Deepwater project has outgrown its original concept. 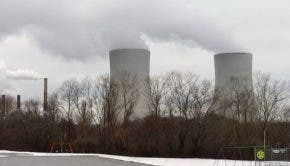 According to Deepwater, the company’s first proposal of 144 megawatts was designed to meet the demands of one Massachusetts clean energy solicitation. An additional solicitation motivated Deepwater to ramp its plans up to 400 megawatts. …By partnering with the storage capability of the largest hydroelectric pumped storage facility in New England – the Northfield Mountain pumped-hydroelectric station operated by FirstLight Power Resources, a hydroelectric and energy storage company – offshore wind can act like a baseload resource. So, Is President* Trump A Renewable Energy Hero? A-hahahahhahahahahahahah. No. The peculiar nature of the US Electoral College enabled a chronic liar, accused ripoff artist, admitted sexual predator, and climate change denier to park himself behind the desk in the Oval Office, despite losing the popular vote by a wider margin than any other US president in recent history. Nevertheless, renewable energy development has continued its inexorable march to the future under Trump’s watch. That’s partly because Energy Secretary Rick Perry has steadfastly promoted his agency’s renewable energy initiatives. It’s a weird contrast with his consistent cheerleading for Trump — ok, so let’s call it outright trolling — but there you have it (as for Perry’s record legacy on women’s health as Governor of Texas from 2000 to 2015, don’t get me started). A case in point is the Northern Pass hydropower transmission project for New England. The project had been delayed during the Obama administration due to environmental concerns along its route, but just last month President* Trump’s Energy Department enabled it to take a step forward. Between Revolution Wind and Northern Pass, it looks like the last remaining coal power plants in New England don’t have a chance. Deepwater Wind is partnering with National Grid Ventures on developing an offshore transmission network that supports not just Revolution Wind, but also future offshore wind farms, even if they’re built by our competitors. According to Deepwater, the transmission connection between the Revolution Wind offshore wind farm represents just the first step for a whole network of offshore wind farms. The network could grow up to 1,600 megawatts in offshore capacity. So, what’s in it for Deepwater? The company is most likely eyeballing other offshore wind opportunities, and this is a chance to cement its role as a provider of offshore wind transmission as well as offshore wind generation. Deepwater cites its successful partnership with National Grid on the Block Island wind farm as proof of concept and carryout. After all, when you take the supply and potentials of the heavily populated Atlantic coast into consideration, there’s plenty of pie to slice.